Our hearts are as our conscience which causes us to know if something does not seem right it allows us to step back and weigh if it be of God or not. In the book of Romans we learn how our heart’s show us if we are obeying the Lord from the heart so sin does not overpower us, because if we no longer serve sin then we press on and yield ourselves to righteousness (Romans 6:16-23). Know ye not, that to whom ye yield yourselves servants to obey, his servants ye are to whom ye obey; whether of sin unto death, or of obedience unto righteousness? But God be thanked, that ye were the servants of sin, but ye have obeyed from the heart that form of doctrine which was delivered you. Being then made free from sin, ye became the servants of righteousness. I speak after the manner of men because of the infirmity of your flesh: for as ye have yielded your members servants to uncleanness and to iniquity unto iniquity; even so now yield your members servants to righteousness unto holiness. For when ye were the servants of sin, ye were free from righteousness. What fruit had ye then in those things whereof ye are now ashamed? for the end of those things is death. But now being made free from sin, and become servants to God, ye have your fruit unto holiness, and the end everlasting life. For the wages of sin is death; but the gift of God is eternal life through Jesus Christ our Lord. God sees to it that His people who truly live for Him are gathered together which was at one time scattered from Him, and see they have a heart set only on serving Him! (Jeremiah 32:37-41). Behold, I will gather them out of all countries, whither I have driven them in mine anger, and in my fury, and in great wrath; and I will bring them again unto this place, and I will cause them to dwell safely: And they shall be my people, and I will be their God: And I will give them one heart, and one way, that they may fear me for ever, for the good of them, and of their children after them: And I will make an everlasting covenant with them, that I will not turn away from them, to do them good; but I will put my fear in their hearts, that they shall not depart from me. Yea, I will rejoice over them to do them good, and I will plant them in this land assuredly with my whole heart and with my whole soul. 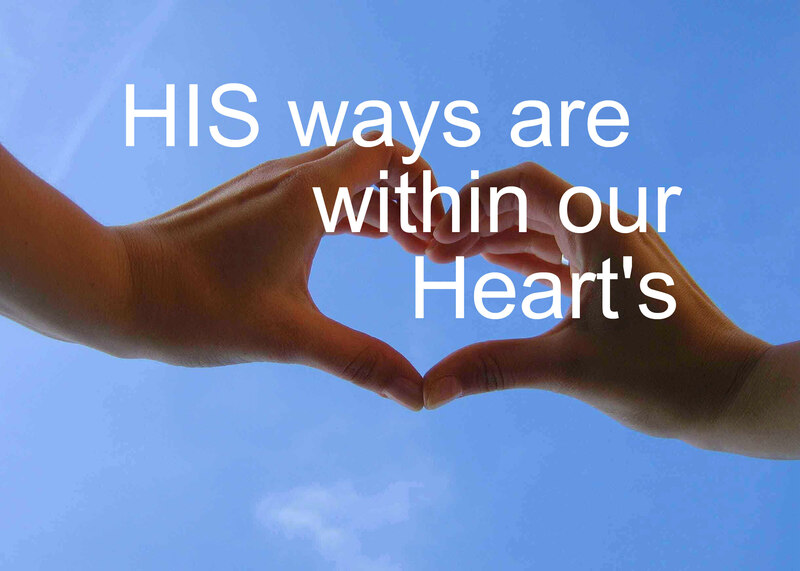 How marvelous that The LORD spoke to our hearts — at about the same time — that the Highway to GOD is in our Hearts ! Yes, you are SO CORRECT: Our Consciences are formed by WHAT or WHO we agree with, yes ? We cannot come into the Kingdom of GOD without a CHRIST-centered conscience. That is what rules our hearts to follow JESUS. That is what makes us “listen” to the corrections brought to us by the Blessed HOLY SPIRIT. Bless you, Julia. You have that gift of FAITHFULNESS which touches all you do. May the LORD bless your day now with a special Anointing. Amen Sister Judith! How many times there is a blessing when we keep our conscience clear and stay in tune with God who rules our heart. God Bless you my friend.